• Is the system easy to use? • Does it deliver the functionality that we require? • Can we easily modify it to reflect changes in our business? 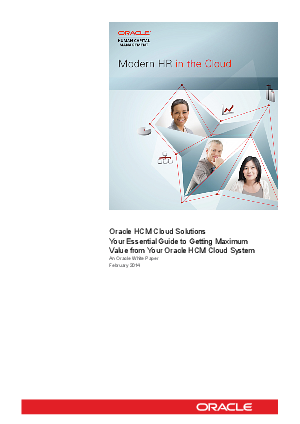 This whitepaper explores the benefits of HCM cloud and how you can benefit from your investment with Three Principles.